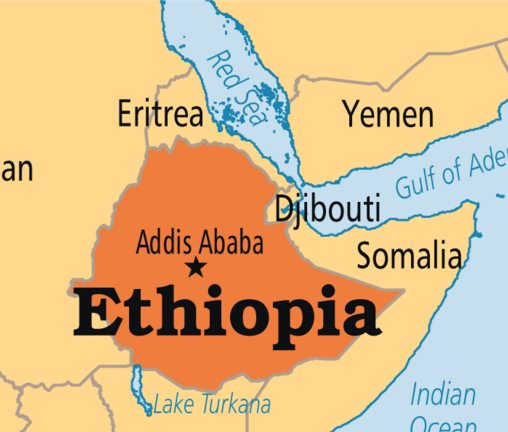 Our Stretch of data disaster recovery is now in East Africa where we are doing: Data Recovery in Ethiopia major towns that is : Data Recovery in Addis Ababa, Data Recovery in Dire Dawa, data recovery in Mekele, data recovery in Nazrēt, data recovery in Bahir Dar. We are proud to provide you with full Data Recovery Service coverage to any part of East Africa. East Africa Data Handlers Ltd understand that different people have different needs in East Africa. We have the Professional data recovery tools and the expertise to help you with any digital file recovery that you may need anytime. We offer non-destructive data recovery services using our own proprietary methods and will return the drive to you in the same condition it was received. Our team is on call and available to come to you and your lost data’s rescue whenever and wherever Data loss Disaster Strikes. East African Data Handlers ltd no data – no charge policy means you owe us nothing if we are unable to recover your critical files. If you’ve lost valuable, irreplaceable data in Ethiopia — We can save it! Call us now at +254 711 051 107 or visit our offices Chiromo Court 3rd Floor Westlands, Kenya but have Distributed offices all over East Africa. Okay services but not efficient. The best company with Data Recovery services, Digital Forensics and IT Forensics. Only company in East Africa with fulfilling data recovery services & great customer service. 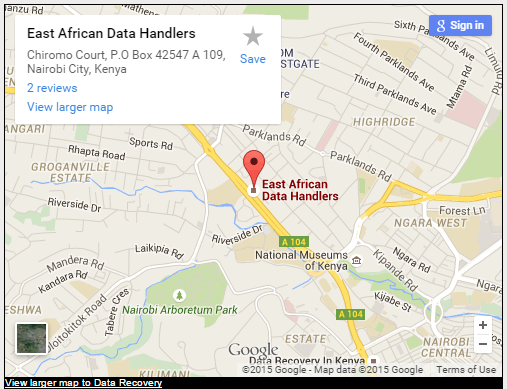 © 2015 East African Data Handlers. All rights reserved.